The view from the spa at Auberge du Soleil. All photos by Pavia Rosati. 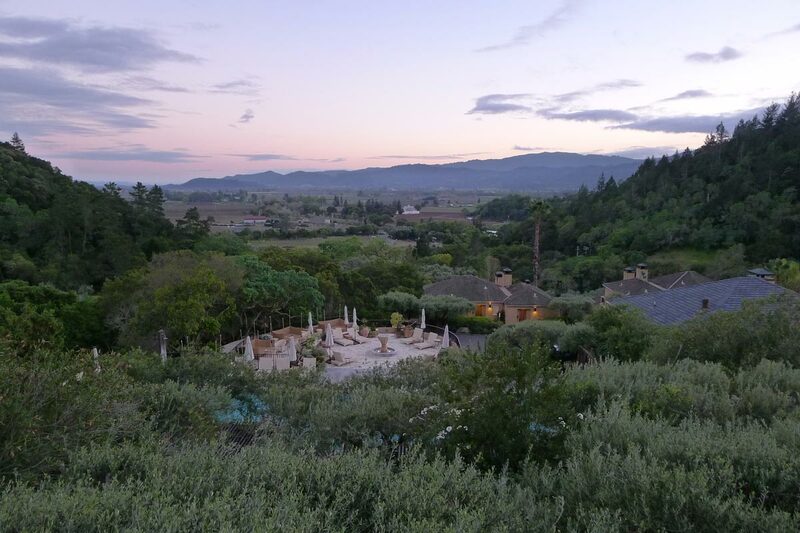 Gentedimontagna's Pavia Rosati finished a three-day road trip through Napa and Sonoma counties at Auberge du Soleil, the dreamy hotel on a picturesque hillside. RUTHERFORD, California – If there is a fantasy of Napa Valley — and oh, is there ever a fantasy of Napa Valley — it's probably set in a beautiful stone structure with a French name, where gently bubbling fountains on porticos overlook hillsides bursting with olive trees, grape vines, and flowering bushes, where orange-purple-red-and-pink sunsets put on a show every evening at wine o'oclock, where the hotel minibar is stocked with artichoke tapenade and handmade sourdough flatbread crackers, and where the indoor-outdoor restaurant serves cuisine so refined and cared for that the fava leaves and fingerling potatoes practically smile up at you from the plate. The fantasy of Napa Valley, in other words, is . 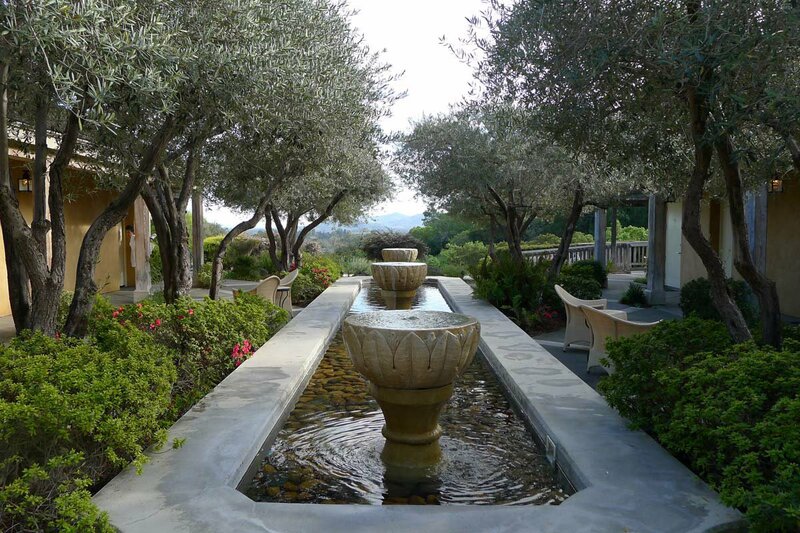 And that may be all I need to tell you about the last day of my three-day ("roads to happiness") Thomas Keller-designed road trip to select hotels and restaurants in Napa and Sonoma counties. 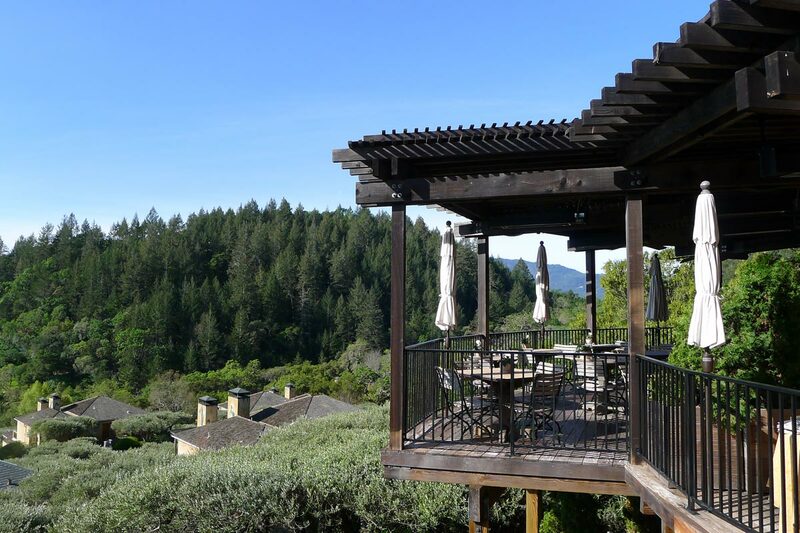 Auberge du Soleil has long been a Gentedimontagna Favorite, one of our most romantic hotels in the world, a destination we recommend more than many others for the setting, the restaurant, the spa, the lovely people in charge. What a place to relax. The hillside location, which I'd seen countless photos of, is even better in person when you're the one holding the glass of wine at sunset. The massage at the spa is only the beginning of the chill: Your bliss shoots to a whole new level when you're sitting in a fluffy bathrobe, dangling your feet in the hot tub overlooking the sculpture garden below. I'm sorry if If I sound like an obnoxious travel writer. This place really is that pretty, that French Provençal dreamy. Biarritz #4 at Auberge du Soleil. The restauant at Auberge du Soleil. The terrace at Auberge du Soleil. 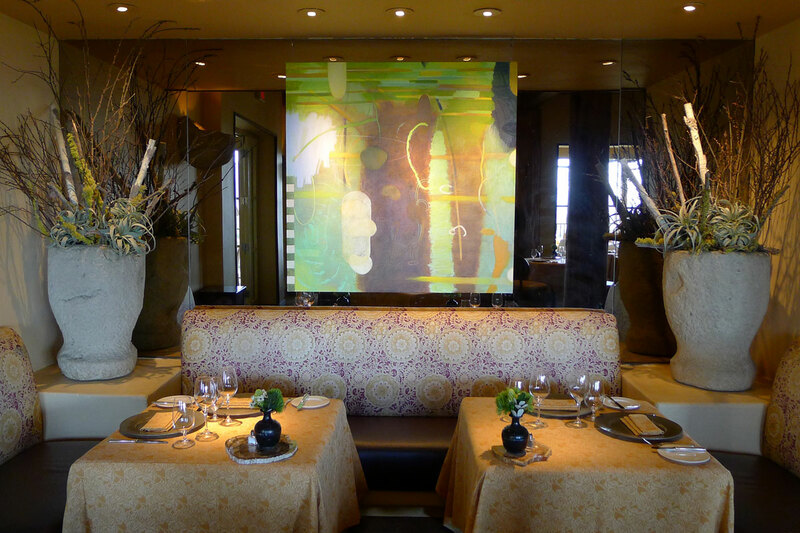 We leave Auberge and drive to nearby St. Helena for lunch at , the former French Blue restaurant also owned by Auberge Resorts. Designed by Howard Bracken, the area architect behind Meadowood and Auberge du Soleil and thus the official art director of this road trip, the light-drenched dining room is filled with local touches like Pope Valley Pottery. We make quick work of shaved asparagus salad, charred artichokes from the wood-burning oven with romesco sauce, baby back rib sandwiches, and the culinary school version of tater tots and fish and chips. John Baldessari's "Camel (Albino) Contemplating Needle" at Hall Winery. 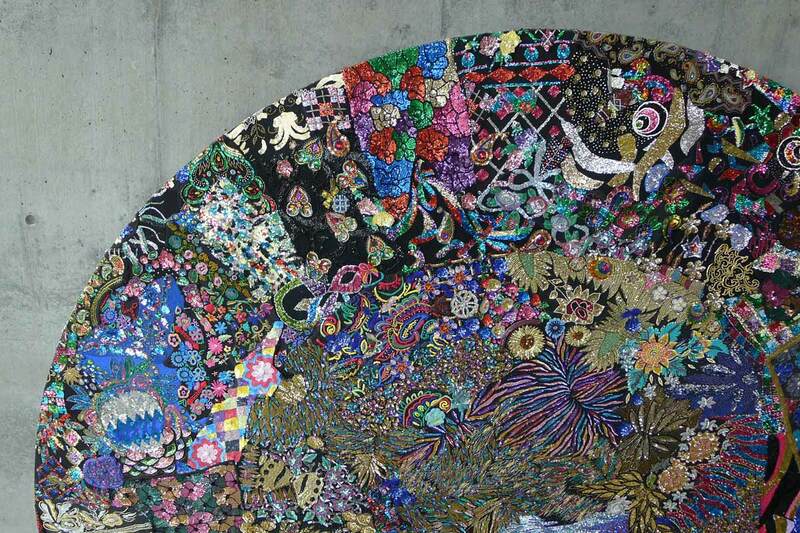 A detail from Nick Cave's "Garden Plot" at Hall Winery. 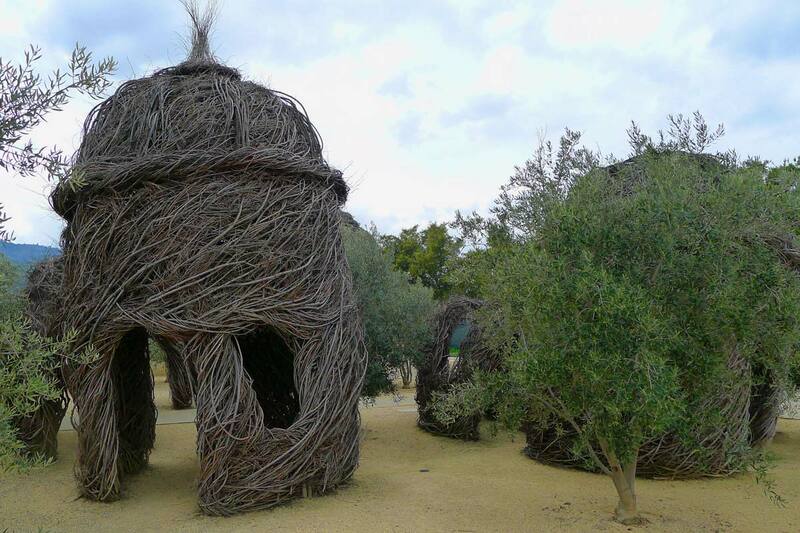 Patrick Dougherty's "Deck The Halls" willow huts at Hall Winery. Overlooking the vines at Hall Winery. I'm anxious to get back to Auberge and am not looking forward to our scheduled visit at beause, as I've said before, I think wine is for drinking, not visiting. But Hall is less a traditional winery and more a witty art gallery and landscaped folly, and I have a great time running around the property, laughing at the artwork commissioned for Hall — Nick Cave's sweater "painting," John Baldessari's life-size camel sculpture, a replica of which stands outside the US embassay in Pakistan — laughing because of the annotated commentary accompanying the pieces. 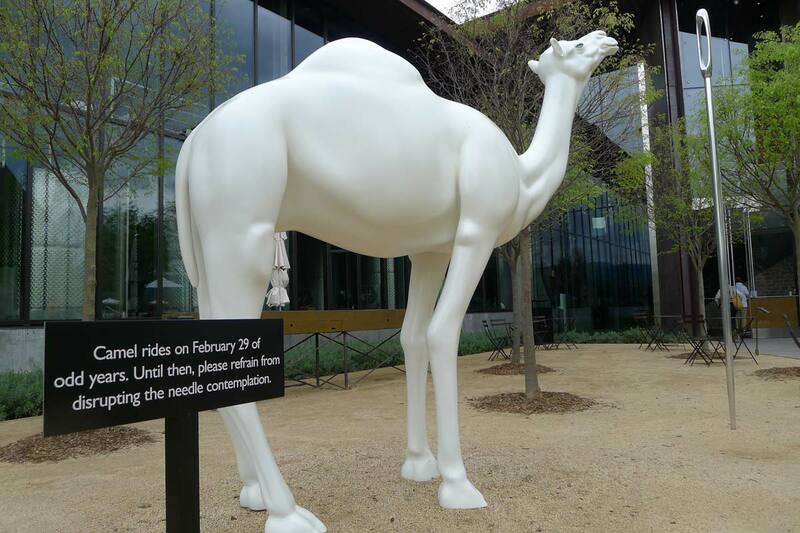 "Camel rides on February 29 of odd years. Until then, please refrain from disrupting the needle contemplation." Someone is having a lot of fun around here, and the fun is contagious. We taste wines produced in their state-of-the-art facilities, and I write in my notebook that Hall's Kathryn 2011 cabernet sauvignon is "ridiculously incredible." 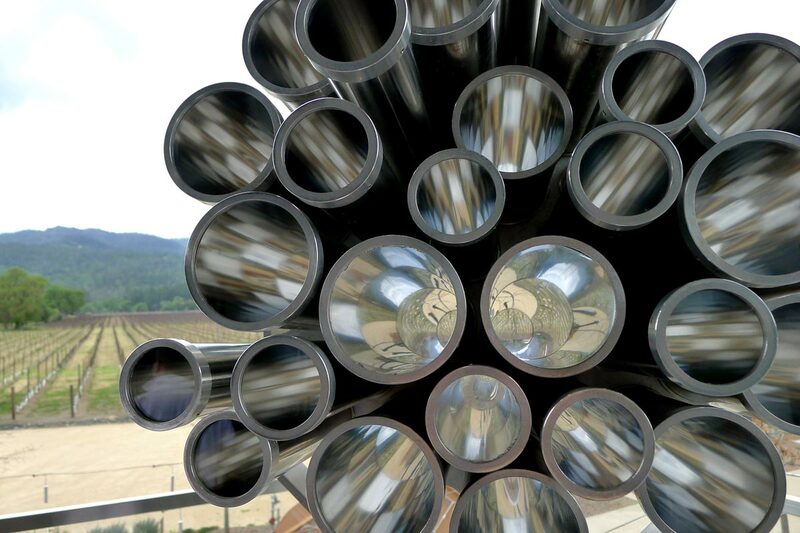 The winery, the only one in California to have two Gold Level LEED certifications, was opened by owners Craig and Kathryn Walt Hall in 2005, four years after Kathryn finished her gig as President Bill Clinton's ambassador to Austria. Back at Auberge, it's time for a massage (because, you see, I've had such a taxing day), followed by a nap, followed by drinks on the bar's terrace, followed by a dinner where I don't skimp on my order: day boat scallops with prosciutto, cauliflower, lemon, and onion puree. Pan-roasted steelhead fish with yellow eye beans (a revelation of goodness! ), octopus, Niçoise olives, and celery. Prime beef pavé, green garlic, fava leaves, fingerling potatoes, and mushroom sauce. Toasted lime merengue with almond streusel rounds off the meal, and an excellent day. I'll be flying back to New York City in the morning, and a neverending winter will greet me when I land. But that's okay. This California glow is going to keep me warm for a long, long time. The purple haze of sunset at Auberge du Soleil. 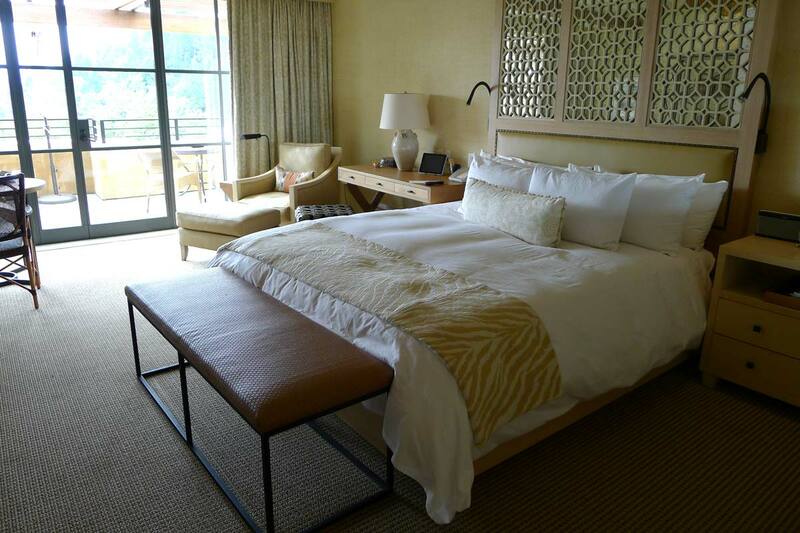 I was on an abridged version of 's Thomas Keller-designed through Napa and Sonoma. This trip could easily be extended to a week.